Spotify has signed a new partnership with smart devices giant Samsung – and Wall Street likes what it sees. The Swedish-born streaming music company has announced that it is now the “go-to music service provider” for Samsung devices. The agreement means that Spotify becomes part of the setup process for Samsung devices, making it easy for users to discover Spotify via Samsung Smart Switch on their cell phones and tablets. Spotify will also soon be integrated with Samsung Smart TV while, in a real coup for Daniel Ek and co, Spotify is the ‘only music service to be fully integrated’ with Samsung Music and Bixby – the Apple rival’s voice-activated equivalent to Siri or Amazon’s Alexa. 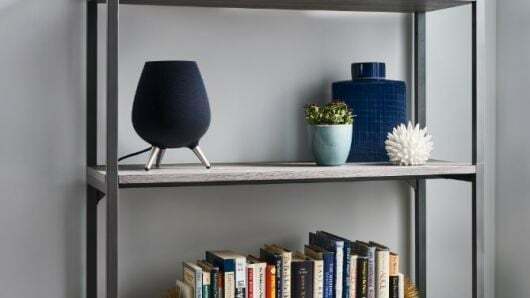 What’s more, Samsung today (August 9) announced a new smart-speaker competitor to Apple’s Homepod and Amazon’s Echo, called the Galaxy Home (pictured). Powered by Bixby, Spotify is the default music service on the device. Those who own more than one Samsung device will be able to easily switch their Spotify playback between them, said Spotify. Spotify’s shares have jumped over 5% today on the New York Stock Exchange in the aftermath of the announcement. Spotify Chairman and CEO Daniel Ek wrote in a Q&A blog: “Samsung makes devices for every aspect of our lives – everything from smartphones and TVs, to tablets, speakers, and watches. And we have designed Spotify to deliver personalized music to consumers around the world – wherever they are, across millions of devices. He added: “Samsung’s new go-to music provider, Spotify is giving hundreds of millions of Samsung listeners better access to our 35 million songs, as well as our innovative Discovery and Personalization features, connecting more artists with more fans. “We believe that this significant long-term partnership will provide Samsung users across millions of devices with the best possible music streaming experience, and make discovering new music easier than ever – with even more opportunities to come. Samsung is the biggest smartphone manufacturer in the world. According to IDC data, Samsung shipped 71.5m phones in Q2 2018, claiming a 20.9% market share. Apple, on the other hand, shipped 41.3m smartphones in the period, with a 12.1% market share. Samsung once ran its own music streaming platforms, including Milk Music which was shuttered in 2016.